Happy with our Hyundai! Will not consider another make. 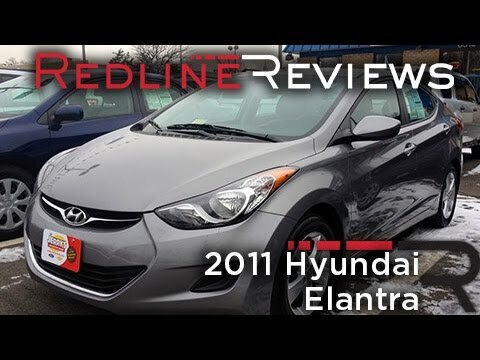 We looked at and drove probably 25 or more vehicles and kept going back to the Hyundai Elantra. We had a price point that we wanted to stay at, and other criteria that was important to us - (seats lying flat, for instance). We've NEVER had an issue with our vehicle at all. It's comfortable on long trips, there's not all the bells and whistles like on a lot of vehicles today. We think those "features" actually distract the driver rather than be a positive. We will definitely purchase another Hyundai vehicle when that time comes. Our car currently has 134,000 miles on it, and runs as quiet and efficiently as it did when we drove it off the lot! Great car overall, very reliable with features that are ahead of its time. There have been no major problems with this car, the only thing is the tail lights go out quite often and are sort of hard to get to. The car itself is very reliable and comfortable. The pickup is a little slower than I would like, but it gets me where I need to go. It has Bluetooth , which I thought was impressive for a 2011 and it has a CD changer. The ac is on a dial and there are seat warmers for every seat in the car. There is multiple cigarette lighters and a USB port, but you have to have a specific cable for it to work with your iPhone. When the contacts merge, the car says the last name first and the first name last. A reliable, roomy car. This car is reliable and roomy with great gas mileage! I love my Elantra. The car is a medium size car, but is very roomy inside. I never feel like I am in a tight space. The back seats fold all the way down, which is very handy if you need the space for moving, etc. I was amazed at how many boxes I could fit in my car when I moved. The car is very reliable. The side view mirrors are large which is nice because it really helps with seeing cars around you. The car has front seat warmers which is great on a cold day. Best of all is the gas mileage. I generally get around 30 to 35 mpg. I would recommend this vehicle.